It's the most wonderful time of the year...for foodies. Cleveland Restaurant Week kicks off today with more than 50 restaurants on board stretching as far as Sandusky, Twinsburg, and Akron, but mostly located in the 216. Participating restaurants are offering three-course prix fixe menus for $33 (not including tax and gratuity). The name is a bit of a misnomer since the event actually goes on for two weeks (November 1-15), but all the better to try all six dishes on this list—and then some. When the words "vegan" and "steak" end up together in a dish, that automatically qualifies it as a must-try. One of several Zack Bruell restaurants on the list, Cowell & Hubbard melds the two with Vegan Salisbury Steak in a caramelized onion and mushroom jus—served with coconut milk whipped potatoes, haricot verts (aka green beans), and tofu butter. Make it a vegan-friendly feast by ordering the vegan croquettes with vegan chorizo sausage as a starter. Click here to see the full Cleveland Restaurant Week menu. Show some Ohio love by ordering the Tea Hills Chicken Confit (with meat sourced from the Loudonville, OH-based Tea Hills Farms). The ultra-tender chicken is served with rosemary roasted butternut squash, braised greens, and prepared in a sherry jus. Merchant Street Provisions is one of the unique entries on the Cleveland Restaurant Week list in that it essentially allows diners to curate their own experience from the existing menu (rather than following a prix fixe format). With the chance to choose from any appetizer/salad, entrée, or dessert, the world is a French food lover's oyster, but rumor has it the Goat Cheese Stuffed Dates are a non-negotiable. Pro tip: go on Wednesday to enjoy live music. 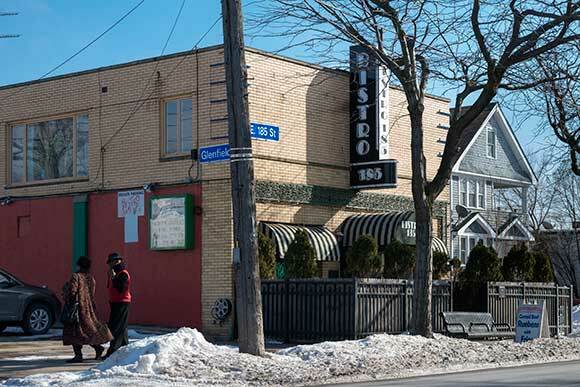 While the whole idea of Cleveland Restaurant Week is to get more bang for your buck, Collinwood's Bistro 185 goes the extra mile by offering four courses on its special menu. This restaurant specializes in globally inspired fare that's straightforward yet food-forward, and its Fish Fry dishes have long been a beloved staple—making the Perch Fry a no-brainer. Start your Brazilian feast with some crave-worthy Pao de Queijo (a gluten-free Brazilian cheese bread made with tapioca flour), followed by a main course of Feijoada. Billed as a "Brazilian party dish," this flavorful black bean stew incorporates bacon, smoked turkey, beef, and pork—served with rice, fried spinach, tomato relish, and farofa (Brazilian stuffing). Translation? Come hungry. The ramen trend is very much still in full force, and places like Rocco Whalen's Fahrenheit showcase it done right. Point your chopsticks toward the special menu's Barbecue Braised Brisket Ramen, a mouth-melting mashup of five-minute egg, roasted sweet corn, pickled shiitake mushrooms, bok choy, soba, Ohio bacon, chilies, and herbs.